The Chronarch reels have long been the choice for anglers who have taken their bass fishing to the next level, and we give them the right fishing tool to help with their success at that level. 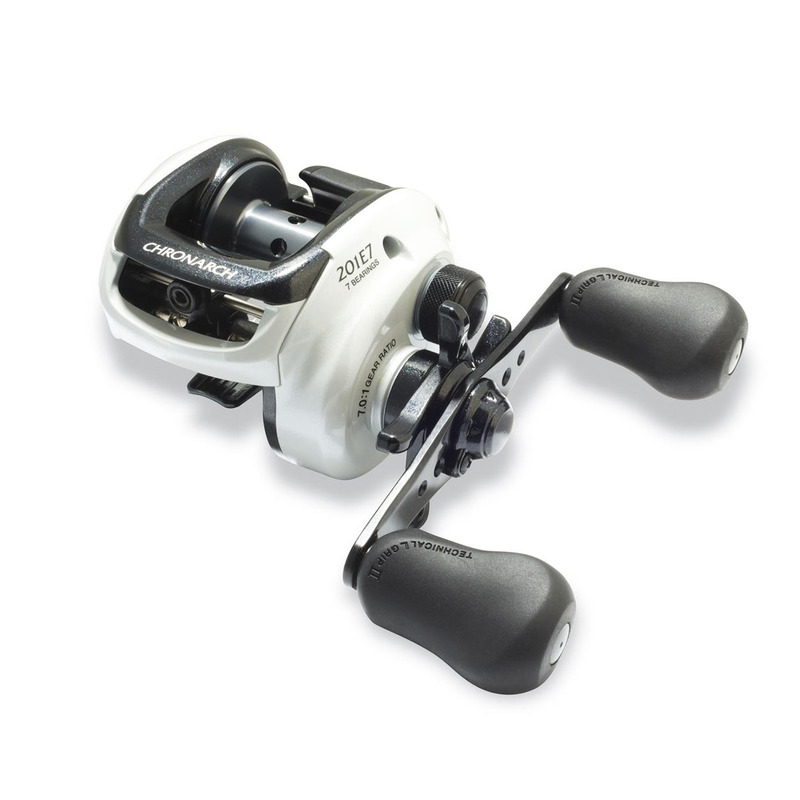 The Chronarch E reels feature a long-list of proven Shimano features including High Efficiency Gearing and Super Stopper. For smoothness and durability, each has a shielded A-RB ball bearing, five shielded SSS bearings, and a roller clutch.